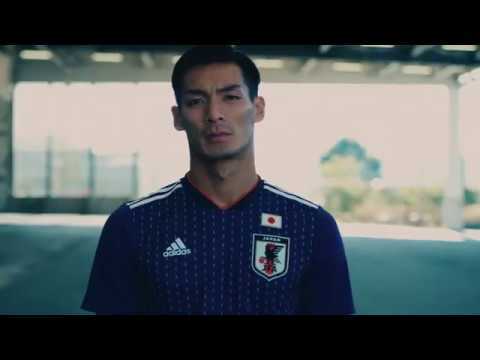 With 2018 FIFA World Cup Russia coming up next year, the new home kit was prepared to get Japan’s players ready for the contests of the World’s highest level. The base colour is “KACHI-IRO”, meaning the colour Spirit of Victory in Japanese, dark indigo colour, which is one of Japan’s traditionally-favoured colours. “KACHI-IRO” used to be widely preferred by samurai warriors of Japan’s middle ages for their special clothes worn under their battle armours. It’s considered the darkest indigo-dyed colour and created by hitting cloths throughout the dyeing process. Hitting is translated as KATSU in Japanese language, and KATSU has the same pronunciation of the letter meaning victory. Certainly, those warriors and the following generations of Japanese believed the colour as a lucky charm brings victories to their battles and life itself.